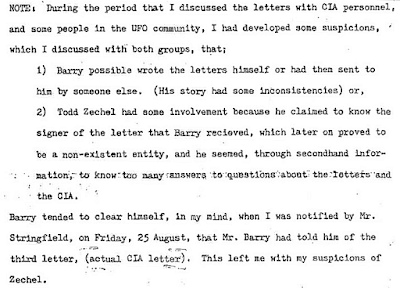 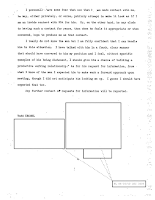 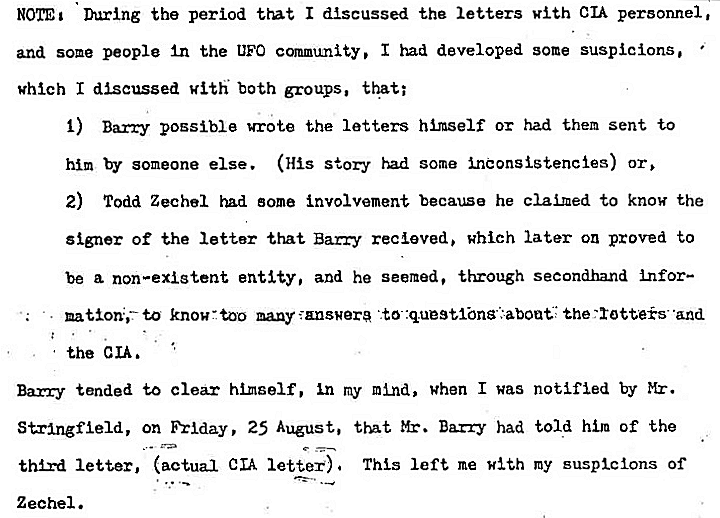 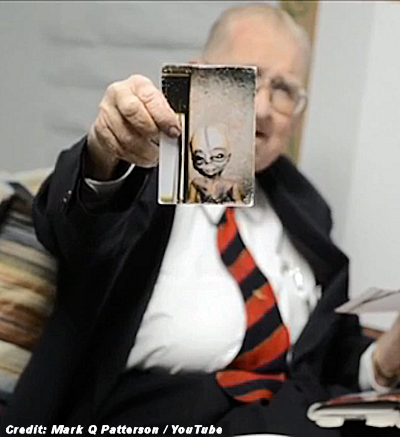 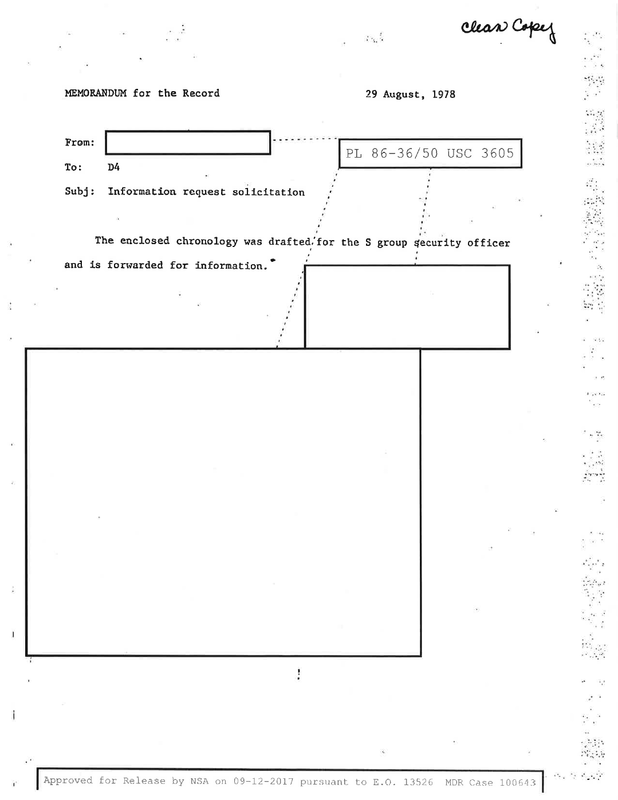 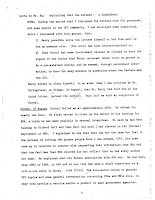 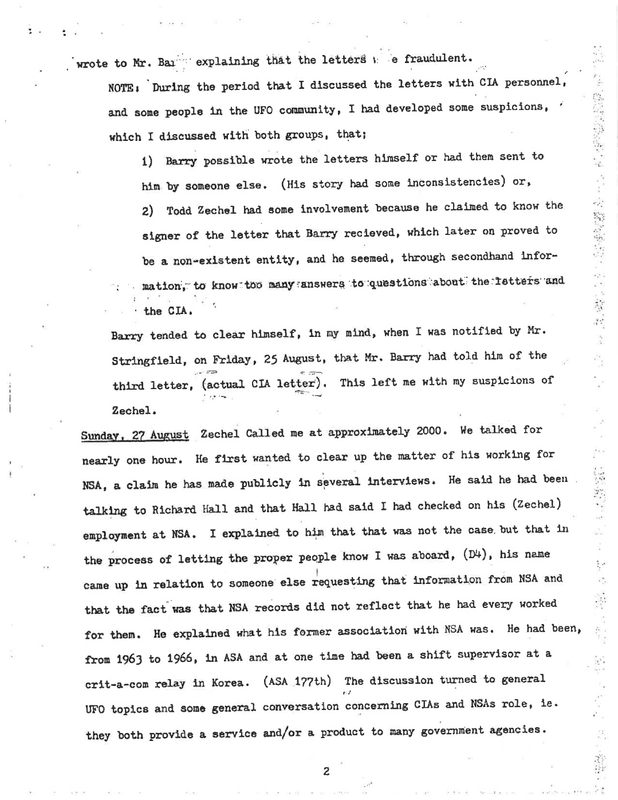 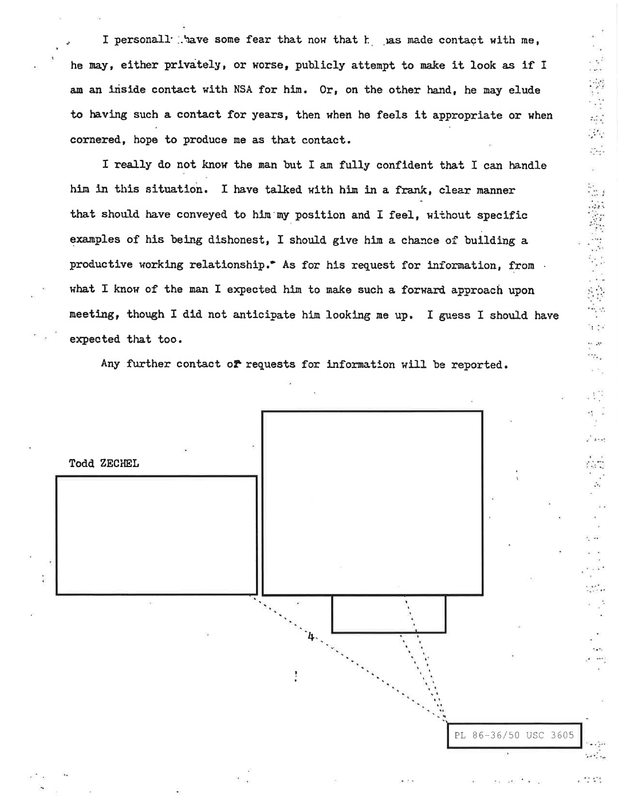 The National Security Agency recently released the majority of a 1978 memo prepared by an assignee (see below) about his attendance at a UFO conference. 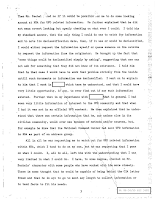 The document was obtained following a Jan. 24, 2017, request for a Mandatory Declassification Review (MDR). 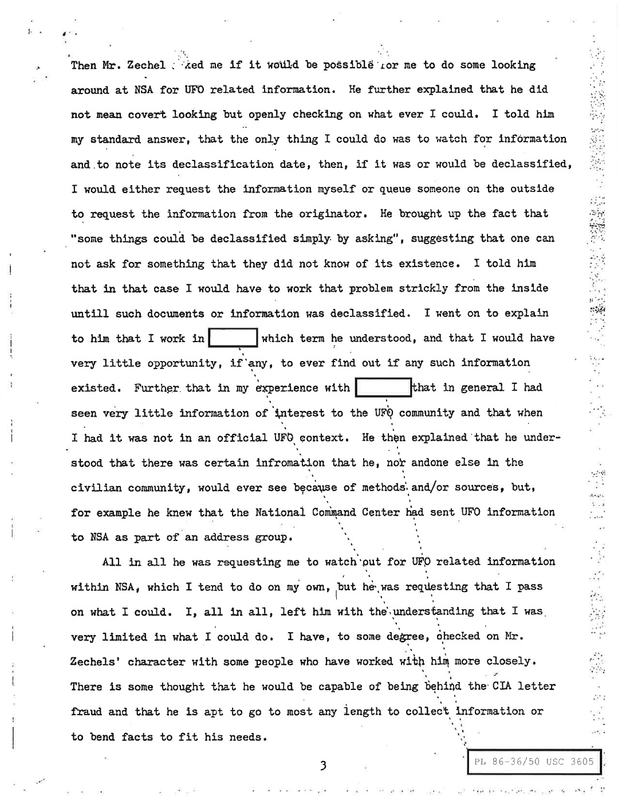 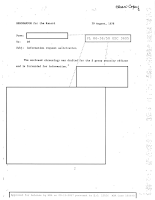 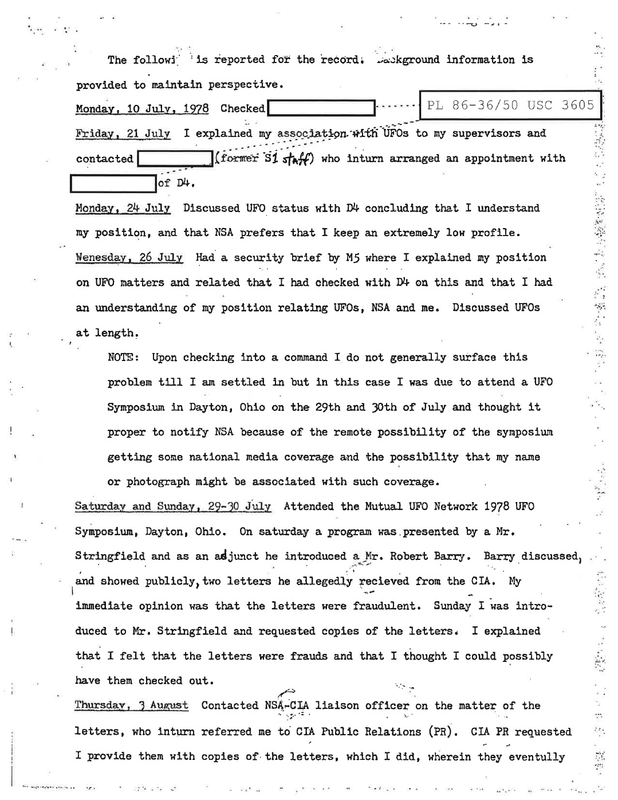 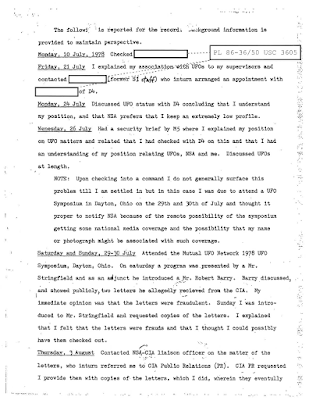 The five-page memo contains the subject line, "Information request solicitation," and advises the NSA on such matters as likely fraudulent CIA letters showcased at the conference, activities of some specific researchers in attendance, relationships with the researchers, and potential problems that might arise through such relationships. 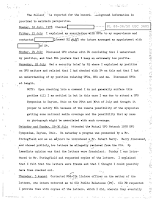 The NSA Sep. 12, 2017, response to the MDR request and the partially redacted document may be viewed and downloaded at the link above.